Take a trip down memory lane, to days spent at your grandparents’ house, where everything was placed on top of a doily and you were surrounded by retro kitsch. 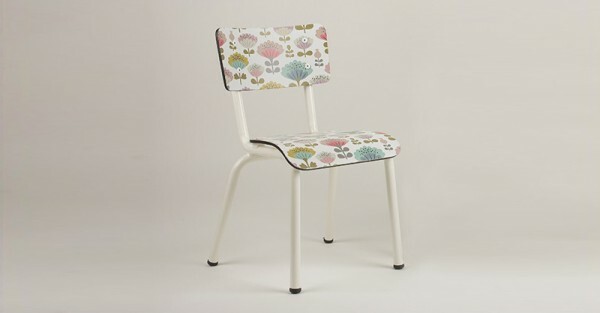 We have found some delightful chairs for little bottoms that will take you back decades and look great in every room. 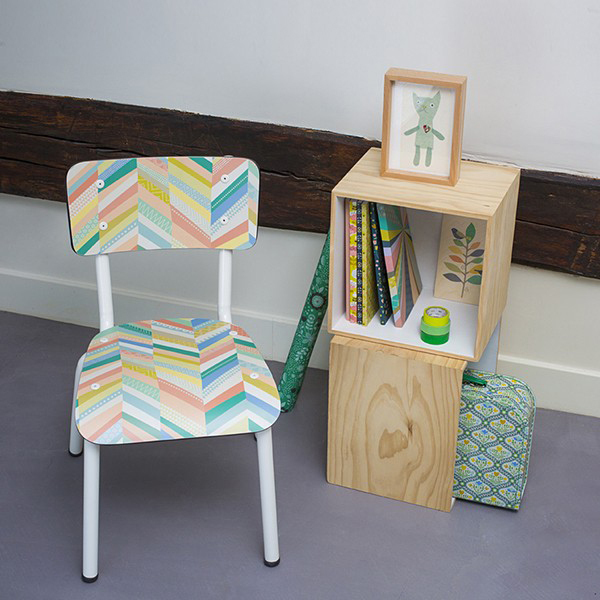 French brands Mini Labo and Les Gambettes have designed a small collection of kids’ retro style chairs, full of bright colours and eye catching prints. Your little babe will adore their new chair and it might even encourage them to sit down for more then five minutes at meal times. The collection consists of three chairs, each with its own unique print, that have been designed with a white metal structure and have a height of 31cm. The Chair Little Suzie Hide and Seek has won my heart. This quaint little chair would be a sweet touch to any child’s room, especially those who enjoy flower picking and all things floral. Decorate their room with the Chair Suzie Chevrons. Boasting a retro chevron print in a rainbow of pastel colours, it is sure to add a timeless touch. 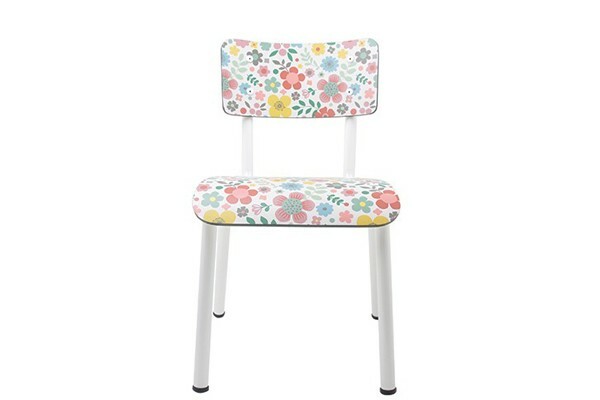 Another print that has me completely smitten is the Peonies Chair Little Suzie, with its outrageously beautiful peony flower in handful of delightful colours. You can find the collection of chairs over at Mini Labo, priced at €135.